Does Tulsi has environmental benefits too? 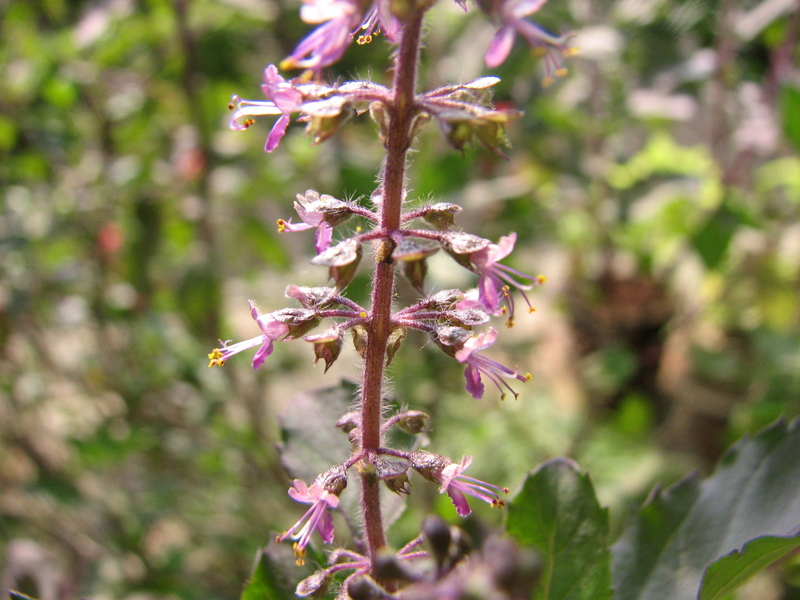 NAGPUR: Ayurvedic medicinal values of Tulsi are well known. Our ancient scriptures have enumerated the medicinal benefits of tulsi. Its extracts are used widely for curing common ailments like common cold, headache, stomach disorder etc. But the environmental benefits have been comparatively unknown. Around two decades back Dada Dham, a socio-spiritual organization brought together a team of botanists, ayurvedic scholars and environmental enthusiasts to study the environmental benefits of tulsi. Now the next claim from an “eminent botanist” that the report does is startling indeed. “Tulsi gives out oxygen for 20 hours and ozone for four hours a day along with the formation of nascent oxygen which absorbs harmful gases like carbon monoxide, carbon dioxide and sulphur dioxide from the environment,” said Shyamkant Padoley, an eminent botanist. How would the tulsi plant (Ocimum tenuiflorum) do this? Is it anatomically so different that it is capable to do this? How does the plant regulate this 20 and 4 hour cycle? I would really like to know. How is that no other plants have this cycle? How did they detect presence of ozone, what detectors they used? What mechanisms in presently known cycle of photosynthesis account for this cycle? And if this is part of the standard photosynthesis process, then all plants should have it. This seems fishy, and a most preliminary search did not yield any positive result. All of them talk about production of oxygen and not ozone, as reported by Padoley. And if this is indeed true, it might lead to change in our conception of the photosynthetic cycle. Ozone is a powerful oxidant (far more so than dioxygen) and has many industrial and consumer applications related to oxidation. This same high oxidizing potential, however, causes ozone to damage mucus and respiratory tissues in animals, and also tissues in plants, above concentrations of about 100 parts per billion. This makes ozone a potent respiratory hazard and pollutant near ground level. There is a great deal of evidence to show that ground level ozone can harm lung function and irritate the respiratory system.Exposure to ozone and the pollutants that produce it is linked to premature death, asthma, bronchitis, heart attack, and other cardiopulmonary problems. Ozone is air pollutant, green house gas. To summarize this is that ozone is NOT GOOD for us at ground level! It may do us good in upper atmosphere to block UV Rays, but down here on ground it is bad. And if this claim of ozone production by Tulsi is true why is the campaign of “Tulsi lagao pradushan hatoa (Plant tulsi, remove pollution)” which follows in the article is being implemented? This again I am unable to understand. It says this enzyme is “only found in Tulsi”, and it also “regulates entire mechanism of oxygen evolution”. One can agree that a particular enzyme is found in a particular plant, but if this enzyme controls “entire mechanism of oxygen evolution”, how do other plants regulate their mechanisms of oxygen evolution. Dada Dham initiated a campaign ‘Tulsi Lagao Pradushan Hatao’ in 1987 under the guidance of Narendra Dada, the institution’s head. It was under this campaign that the above mentioned panel of experts was formed. After finding out the environmental benefits of the plant, Dada Dham organized a number of programmes like street plays, nukkad sabhas and lectures to propagate the use of the plant. Dr Dattatraya Saraf, an ayurvedic doctor and expert said, “The plant enriches the environment with oxygen almost 24X7 and also absorbs other pollutants.” He further added that if the size of the plant can be increased, the environmental benefits can be increased. This statement that “plant enriches the environment with oxygen almost 24X7” is in contradiction to statement by above Padoley regarding 20 and 4 hour cycles. Which one is to be believed? And mind you this is just appearing a few lines later, this is either very poor editing and reporting, or hogwash to the public. “That is why we want to urge scientists and concerned authorities to make research on the issue of increasing the height of tulsi plant. If big trees can be converted to bonsai plants then big tulsi trees can be possible too,” said Kishor Verma, PRO of Dada Dham. This is another statement that I would like to contest. Did they compare the rate of oxygen production vis-a-vis to other plants. That is to say simply did they have any control sample? And does making “tulsi tree” make any sense (can one really do it is another question), will it really increase oxygen making capabilities, is it a linear relationship between these two variables? The water is completely muddy in this ! He also citied the research and work by other organization in support of tulsi’s environmental benefits. “The forest department of Uttar Pradesh, with the help of an organization called Organic India Limited, Lucknow planted lakhs of tulsi saplings around Taj Mahal to protect its surface from industrial emissions. This step has yielded positive results,” Verma said. “We are just asking the administration to take notice of these extra ordinary benefits of tulsi and take steps for utilizing them. Even simple steps like planting tulsi plants on road dividers, parks etc can bring a difference,” said Verma. The reporter and also the editor make no effort to correct these glaring inconsistencies in the report itself, forget about doing nay research on the topic, or verifying the claims made by these people. Maybe this was like the paid news that is talked about a lot these days. What I find here i that the agenda of what is to be done was already set, the conclusions were already drawn, by our ancestors, written in black and white in ancient texts. The point was only to justify what they were doing, and trying to provide a “scientific basis” of what they already believed to be true (for whatever reasons, mostly religious, and presence of a religious organization in this sort of confirms this). A good example of pseudo-science and bad science reporting. This entry was posted in communication, conspiracy, demarcation problem, education, India, media, Nagpur, philosophy, philosophy of science, plants, pseudo science, quotes, religion, science, science education, scientists and tagged ayurveda, environment, experiment, health problems, Ocimum tenuiflorum, oxygen, ozone, photosynthesis. Bookmark the permalink. 2 Responses to Does Tulsi has environmental benefits too? Did you even read the post and what it says?